Dance class is an investment. A lot of money, time, and energy goes into learning how to dance. The last thing you want is for any of that to go to waste by not making the most of every dance class. Learning anything is on you, friend. Dance teachers just navigate (and occasionally cheerlead) your dance journey. It’s your job to fuel and drive the car. What are some ways to do that and take responsibility for learning in dance class? Dance class is THE place to mess up because the stage is the last place you’ll want to. Give yourself permission to try big and fail hard in dance and in life. Notice we didn’t say you should wait to be hit over the head with or bowled over by new information. Make each dance class a quest to learn something new– even about the same old stuff– through listening, watching, trial, or error. Your best growth often happens outside your comfort zone. 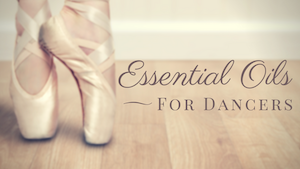 If dance class feels too easy, it’s not always about class level. Are you pushing and stretching yourself in all of the above ways? If not, maybe class seems effortless because you’re not making an effort to push beyond your limitations. Achievement and accolades in dance are awesome but the celebration lasts a blip before you realize that when it’s over, there’s just something new to accomplish. Dance training includes periods of growth and periods of plateau. Make that process the fun part of dance class and you’re golden. Do celebrate those accomplishments and your dancing body. Be grateful that you get to enjoy the benefits of dance and appreciate the people helping you and motivating you to get the most out of every dance class. Thanks, Ed Schipul for making your beautiful photographs of Houston dancers available via CC. Nichelle Suzanne is a writer specializing in dance and online content. She is also a dance instructor with over 20 years experience teaching in dance studios, community programs, and colleges. 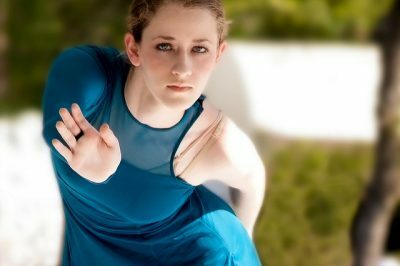 She began Dance Advantage in 2008, equipped with a passion for movement education and an intuitive sense that a blog could bring dancers together. As a Houston-based dance writer, Nichelle covers dance performance for Dance Source Houston, Arts+Culture Texas, and other publications. She is a leader in social media within the dance community and has presented on blogging for dance organizations, including Dance/USA. Nichelle provides web consulting and writing services for dancers, dance schools and studios, and those beyond the dance world. Thanks again Nichelle for some wonderful advice! I am very conscious of investing a lot in my dance classes and when I am there I really try hard to make the most of every minute of every class. You can learn something new and imporatant about even the most elementary things if you take notice and really challenge yourself to do your very best each and every time. If you are not doing this you may as well just be in the queue for the bus! It really takes a lot of mental effort to be present and focused in every class but that is what we dancers excell at! That doesn’t mean we can’t have fun while we are doing it! Beautiful, Nichelle, so perfectly written. I feel like you are speaking directly to me – and to all of my students. The last note is the best: Give thanks. Appreciate what your body can do today. Don’t fret about what it did yesterday. Or five years ago. Enjoy that you are in the studio at this moment and nowhere else. I cherish every class I take and every class I teach and as both a student and a teacher, I look to find something beautiful in ballet every day. Thanks Jocelyn and Leigh. I appreciate all the love on this article. Hi Nichelle, thank you for this amazing article. I just joined a dance practice with ladies in my apartment, and I am in great emotional distress. I am short, and the choreographer positioned herself and her friends in the front row, leaving me behind them. They are all well-built and I will be hardly visible to the audience. I felt emotionally low because of this. Could you please advise. It takes bravery and emotional investment to try or do something new, so I can understand why you might be feeling this way. I’d like to encourage you, however, not to take your placement on stage personally. The choreographer may have chosen your placement for any number of reasons which could range from being completely arbitrary, to hoping that you’d feel most comfortable there, to some logistical reason that may not make sense now but will eventually. Also, if you are dancing in rows or formations, a choreographer will typically “stagger” the dancers so each can be seen or shift dancers on stage throughout the song, so it’s unlikely that you will be totally hidden or behind others for the entire dance. And finally, there’s no need to feel low. Enjoy dancing – what a gift! – work hard and perform your heart out when the time comes and your passion and enthusiasm will reach the audience, guaranteed. Best wishes to you! !